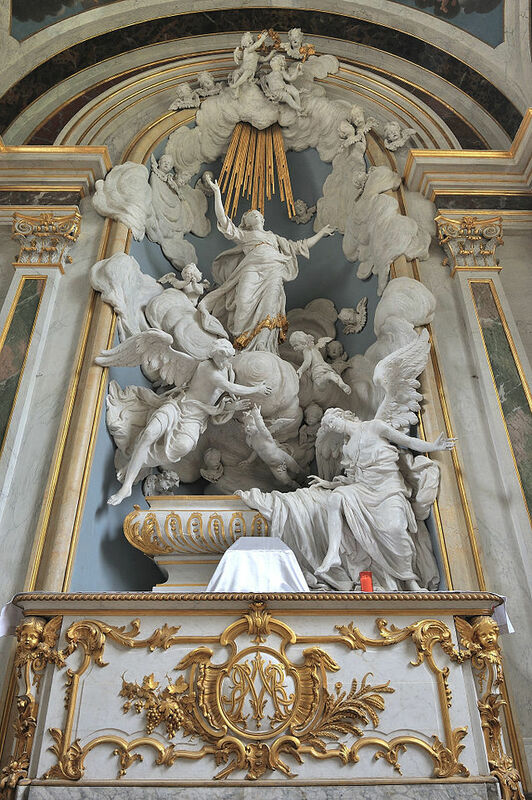 Today is the feast of Our Blessed Lady's Assumption, and the ordo for the Norbertine Liturgy makes it clear that she is "Patrona Ordinis Nostri" - the Patroness of our Order. Several of our Abbeys have Our Lady in her Assumption as their principal patroness, or feast of "title": Averbode, Csorna, Daylesford, Kinshasa, Leffe, Schlägl, Strahov, Tongerlo, Villoria and Windberg.Among the sayings of Our Holy Father Norbert is the line: "Sanctissimae Deiparae Virginis non est filius qui ei tota anima non servit." - "He is no child of Mary who does not serve the most holy Virgin-Mother of God with all his soul. "And so, with the greatest of devotion, we celebrate the strong patronage of the Mother of God over her white-robed sons and daughters in the Norbertine Order. 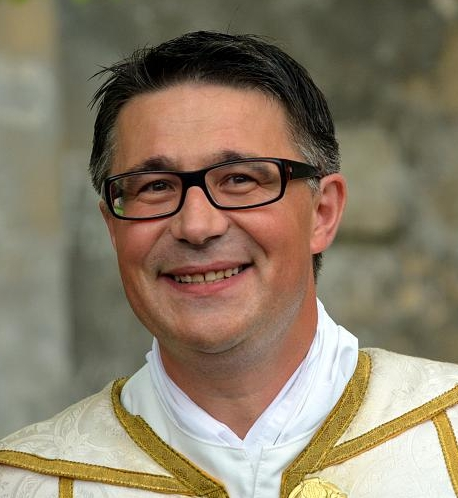 May she bless us and keep us faithful!Today we also celebrate with our confreres in the Royal Canonry of Strahov (Prague) the event of the Abbatial Blessing, conferred today upon their new Abbot, Father Daniel Janáček, by HE Dominik Cardinal Duka, Archbishop of Prague. 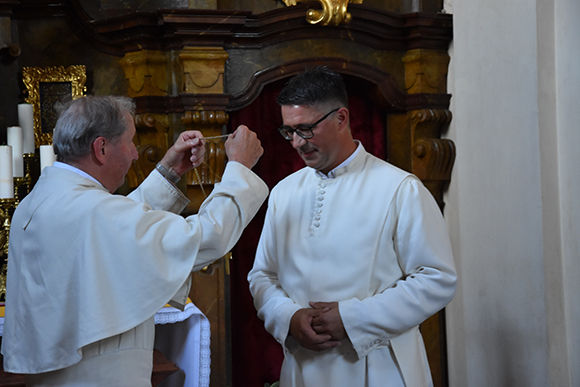 May God bless Abbot Daniel and all the confreres of Strahov on this happy day. 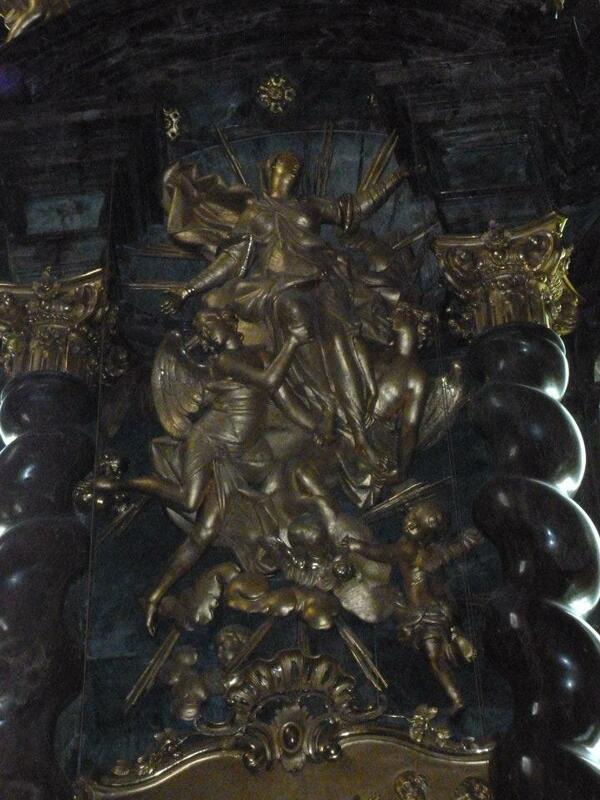 "O how glorious and beautiful art thou, O Mary, Temple of the Only-Begotten Son of God! Open unto us the gates of thy mercy and clemency, and grant that we might enter into thee, and therein deign to hear the prayers we make before thee. Our voice cries out to the Lord in thee, that from his holy temple he might hear our voice, and his ears attend to our cries. Brethren, do not ever leave this Temple, but pour out your prayers in it and speak there all your troubles; for this Temple is none other than the Mother of Christ, and whatever prayers you make through her, God will hear; for he will receive your prayers made through her, since he deigned to take flesh from her and be born for our sake."